Integrating e-signatures into your product or service can add a lot of value for your clients. 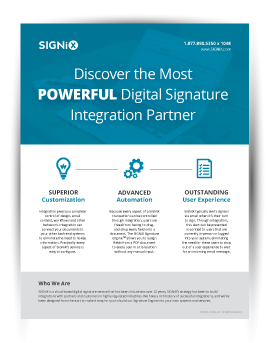 Get our Integration Guide to learn everything you need to know about SIGNiX's e-signature integration options. Fill out the form on the right to get the Integration Guide.